Despicable Me cartoon is really popular because of little "animals" which are called as Minions. There is also a minions game for Android and iOS devices. 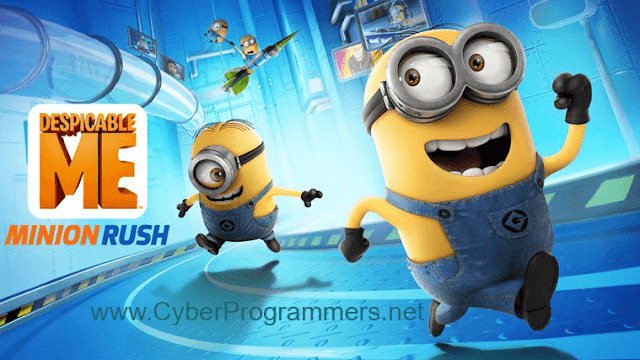 So what if you want to play "Minion Rush" game on your computer. It doesn't matter which operating system is running your PC or laptop, I will show the same process for Windows users, Mac OS X and for Linux users. For these users, it's pretty easy because they can install the game from the store. So all you need to do is open up this link on your browser which will open the game page on your Windows store. Simply press on "Install" button and when it's done you can enjoy the game. If you are about to run Minion Rush game on Windows XP/Vista/7 then you need to install an android emulator on your computer. Look at this post on how to install an emulator on Windows computer. If you know about Bluestacks and don't really like it then check this post best alternatives to Bluestacks. Now when you have installed an emulator you need to start an Android and open up Google Play. So after simply search for Minion Rush and install the game. For OS X users, the process is same as for Windows XP/Vista/7 users. You need to install an Android emulator. Open up this post on how to install Genymotion Android emulator on OS X. After you have installed an emulator, run Android and open the Google Play. Now search for Minion Rush and install it. For Linux users, I would recommend installing Genymotion android emulator. Download it from its official website and install on your Linux machine. Now open up Android, then open Google Play and search for Minion Rush game. Install the game and enjoy it.